He’s been around for about six weeks now, but we haven’t properly introduced Herbert Hill, our new library specialist. 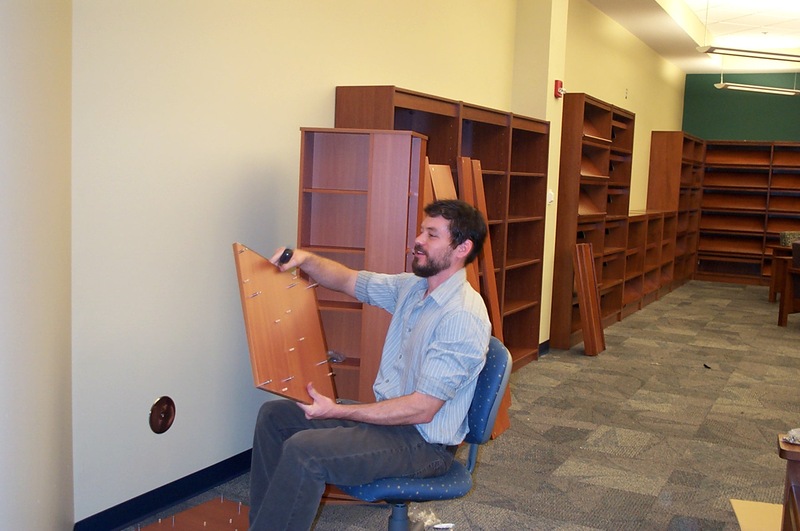 Herb will be Downstairs Guy in the new Parham campus library as he is in charge of stack maintenance. A very obliging fellow, Herb is shown in this picture assembling one of the new spinning display racks for our DVD and audiobooks-on-CD collection.